Biotown is working in collaboration with the Pelling Lab to explore the possibility of fish burgers! Biotown is hoping to participate in this discussion and contribute to the ever-growing body of research into biomaterials, extracellular matrices and lab grown food! We are currently characterizing the extra cellular matrix of salmon. Later efforts will attempt to replicate this matrix to encourage proliferation on fish cells. 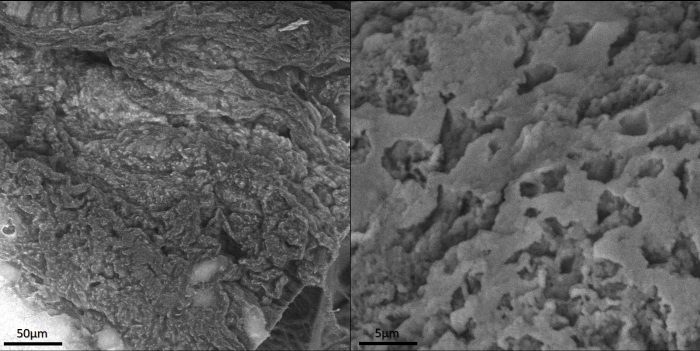 This figure shows the salmon muscle tissue after decellularization. This is the matrix that will be characterized and reproduced through plant or artificial means to use as a scaffold for growing salmon muscle cells. By mimicking the matrix cells are accustomed to, it is likely cells that are grown on a non-native matrix will produce the same type of muscle tissue as they would on their native matrix. Biotown is joining forces with Dr Woo Jae Kim and the Kim Lab to explore new community avenues for Biotown! Biotown is working with Dr Kim’s engineering team to discuss the creation of custom equipment for biological research! 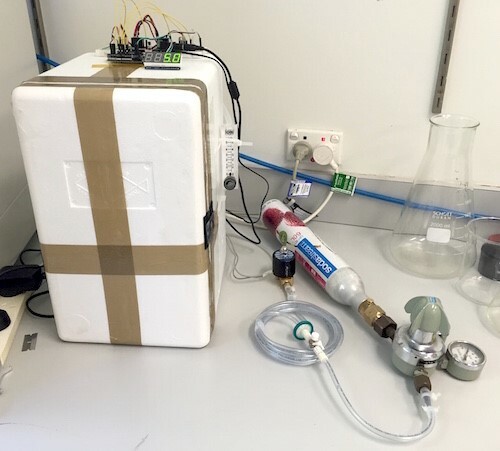 Join us in building Biotown’s very own temperature controlled incubator which will be able to grow bacteria and yeast but also fruit flies and worms! This public event will take place in Fall 2017, subscribe to our newsletter to stay up to date! Our goal is to develop a new protocol for recreational water testing in Ottawa! The method that we want to use, digital droplet PCR, would quantify absolute amounts of bacteria in the samples of water using DNA. It has the potential to be quicker and more precise than current water testing methods. We could have more accurate beach closures and get to enjoy Ottawa’s waterways when they are safe! Biotown is working in collaboration with Dr. Robert Delatolla from the Faculty of Engineering at the University of Ottawa. His work concerns the characterization of biofilm in water, stormwater and wastewater treatment systems. Dr Delatolla will contribute his expertise and facilities for Biotown to develop and test this new protocol! Look forward to our crowdfunding campaign during Fall 2017 to help bring this project to life! Biotown has always been interested in bridging efforts between disciplines. Bio-art is one way to do this! 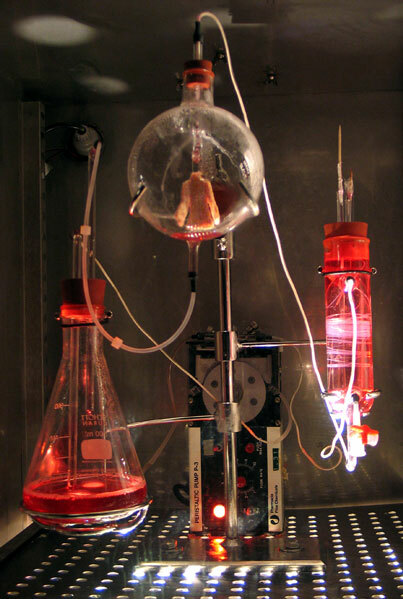 Generally, bio-art is described as the use of life forms or biotechnologies as an artistic medium. Lots of artists world-wide are engaging the technologies and methods traditionally used by biologists to grow artworks and go beyond data for education purposes or to create a discussion around the ethics of contemporary biotechnologies. The possibilities are endless! Keep an eye out for Biotown art projects, or come join us in making one of your ideas a reality! We are looking for an artist-in-residence!